2018 Tallinn Trophy, now in its 17th year, takes place in Estonia Nov. 26 – Dec. 2. This competition became part of the ISU Challenger Series in 2015. 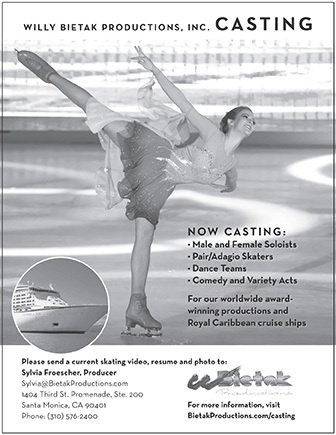 This season 22 men, 31 ladies, six pairs and nine ice dance teams are registered to compete. The senior events start Mon., Nov. 26 with the rhythm dance. The line-ups include many newcomers to the international skating scene along with a number of veteran competitors. Vincent Zhou of the U.S. has not found success on the competitive circuit this season. However, in Estonia, he will be the top-ranked man and this competition will be his to lose. Russia′s Maxim Kovtun is on the comeback trail. His last international competition was 2017 Worlds. This will be the third Challenger Series event for Luc Economides of France this season. He placed eighth at Lombardia Trophy and 13th at Finlandia Trophy. Three Russian ladies will compete this event: Anastasia Gubanova, Daria Panenkova and Serafima Sakhanovich, all of whom will be looking for a podium finish, as will Ting Cui and Karen Chen of the U.S. In pairs, Austria′s Miriam Ziegler and Severin Kiefer rank highest of the seven teams following their fourth place finishes at the Grand Prix in Helsinki and Rostelecom Cup. Two American duos are slated to compete: Tarah Kayne and Danny O’Shea and Jessica Calalang and Brian Johnson. Christina Carreira and Anthony Ponomarenko of the U.S. are the highest-ranked team in ice dance, followed by Natalia Kaliszek and Maksym Spodyriev of Poland. Russia will field three teams to this competition. No Canadian or Japanese skaters are competing at this event.